Show off your your new Bride-to-Be and Mrs. status with this xl travel cosmetic outfitted with a sweet I Do and glittering engagement ring. Store all primping essentials, makeup, and more in this cosmetic for a no-stress routine. Perfect for bridal gift. 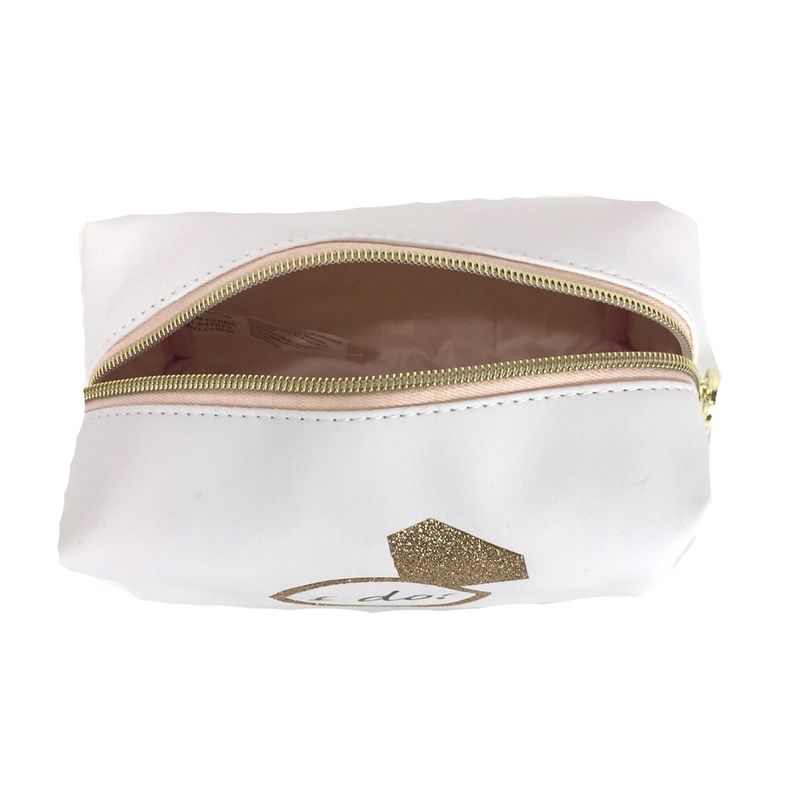 XL cosmetic case in synthetic leather. 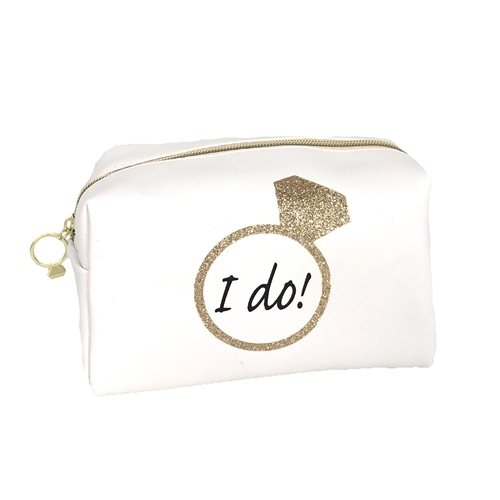 Features a glittering engagement ring and "I do" text. Zipped closure with engagement ring zip pull.